Gaming rocket with shortcomings. 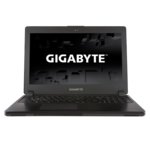 Gigabyte wants to offer a laptop for gamers who value performance and style in the form of its P35W v2. Particularly the weight of just 2.44 kg and a thickness of only 2 cm are things that Gigabyte is proud of. 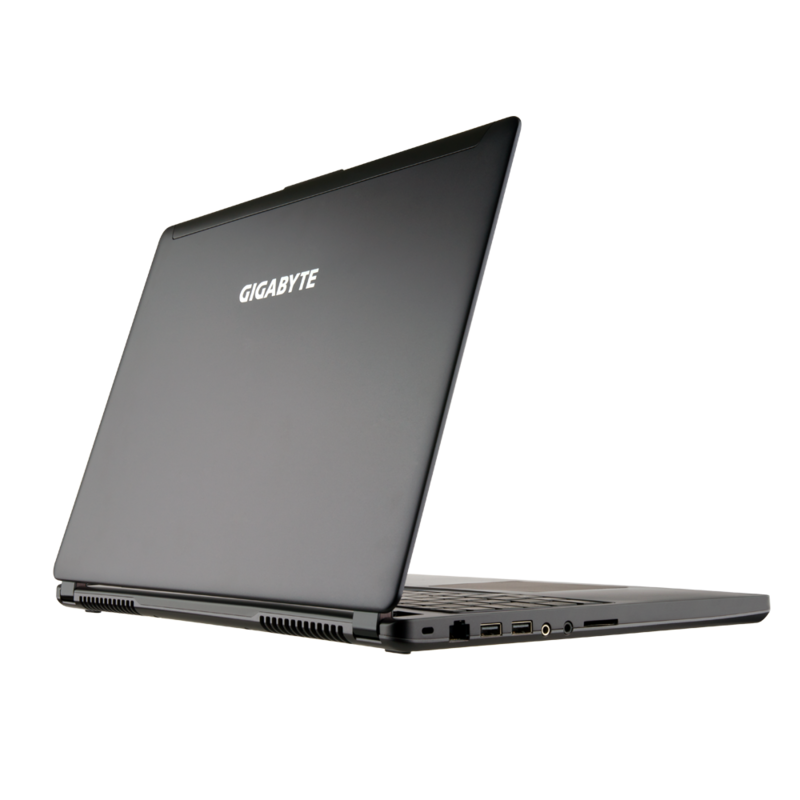 The Gigabyte P35 v2 offers tons of performance in a chassis that's small for a 15.6-incher. Unfortunately, its loud cooling system doesn't come close to handling the powerful components that are inside, making for a worryingly toasty machine. In the same price range, we prefer the MSI GS60 Ghost Pro. 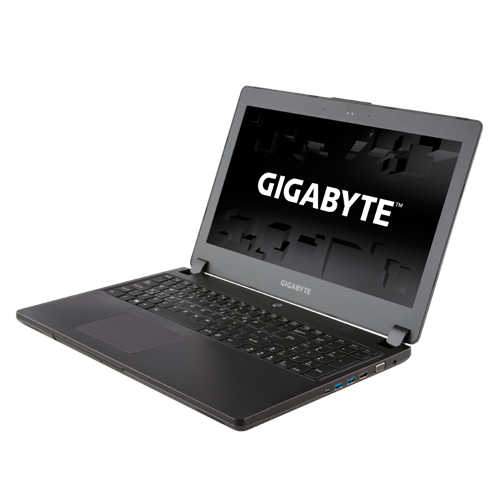 Gigabyte's P35W v2 shows that it is possible to make a compact gaming laptop without sacrificing features or making it too expensive. The system offers some surprising performance with its compact size yet it still manages to include a Blu-ray writer drive internally. The best part is that if you don't need this, you can swap it out for another drive for even more space. If you're dead set on buying a gaming laptop instead of a desktop system, you'll be hard-pressed finding a better value than the Gigabyte P35W v2. Simply put, this gaming laptop offers more hardware and better performance than its competitors for less money. You will miss out on the niceties of more premium systems, like the attractive chassis and 3K displays of the Ghost Pro 3K and Razer Blade. You'll also lack the latest in wireless networking tech, if you opt for this system. Most gaming laptops are hulking desktop replacement systems, convenient if you want to move from room to room, but too big and heavy to travel with. The Gigabyte P34G v2 breaks the mould. It weighs just 1.7kg, but is equipped with an Intel Core i7 processor and dedicated Nvidia GPU that'll play the latest 3D games without any fuss. It also has a dual-band 802.11ac Wi-Fi adaptor, so you can use it to achieve wireless speeds close to that of a wired 10/100 Ethernet connection if you have a compatible router. This is particularly important for those keen on their online games. It's impressive to see a gaming laptop as slim and as light as this, especially one that provides such strong graphics performance. The poor screen has room for improvement, but the P35W v2 provides high-end gaming performance at a more accessible price – along with a slimline design that few gaming laptops can match. The desire to have thinner and more mobile laptops has been on the rise and gaming laptops are no exception. However, the balance between giving thinner laptops without compromising the quality is not something that can be easily done. The Gigabyte P35W v2 strives to achieve the perfect balance. The Gigabyte P35W v2 is a 15.6-incher with only a height of only 0.83 inch (2.11 cm) and a weight of 5.07 pounds (2.3 kg). Despite small size and weight, the Gigabyte P35W v2 comes with an optical drive and a good hard drive capacity. However, to keep the price competitive, the exterior is only made from plastics. The Gigabyte P35W v2 is powered by an Intel Core i7 4710 HQ processor with a clock rate of up to 2.5GHz. This processor is capable of very high raw processing power and coupled with 8 GB of RAM, performance should not be an issue. It also comes with a secondary Nvidia GeForce GTX 870M Graphics Card for even better graphical rendering. As for connectivity, the laptop comes equipped with USB 3.0, HDMI, VGA, Mini Display Port, WiFi, Bluetooth 4.0 and a HD webcam. All in all, the Gigabyte P35W v2 definitely brings a lot to the table. Sadly, for its price, something had to be compromised and design was the factor affected. Series: High-end laptops with appealing design are considered the top-trend for various kinds of user from the common users to specific users like gamers. However, Gigabyte doesn’t follow that trend. Specifically, the Gigabyte P35X V6 is an evidence. With a 4K screen and the Intel Core i7-6700HQ processor built in a 21 mm thick-frame, this notebook could attract most users due to its powerful performance. Its discrete Nvidia GTX 1070 graphics with the new Pascal architecture also helps it to become one of the top notebooks in the current gaming laptop series whereas its price is pretty reasonable. Because of focusing on the component improvement, it seems that the manufacturer, Gigabyte cannot make the outfit of the P35X-v6 distinct and compelling enough. “The seams between aluminum panels are a bit ugly, and we’re not keen on the wide screen bezel”, said page HardwareHeaven. Regarding a comment from GearOpen, this laptop is made from aluminum with mostly black, and there is a tiny orange accent on the lid, but not for decoration. Also following a remark from the HardwareHeaven, “Build quality is equally uninspiring. The wrist-rest flexes and the rear of the screen is pliable. It does not disturb the desktop, but we’d definitely use a protective sleeve”. 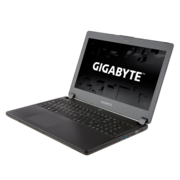 The Gigabyte P35X v6 is said to be the world’s thinnest 15.6 inch notebook to feature Nvidia’s GTX 1070 graphics chip at the moment. Evaluated from ComputerShopper, “The P35X v6’s lid and chassis are plenty sturdy with no bend, creaks, or weak points evident as we put it through its exercise. The chassis feels supremely solid, a minor feat in itself given the whole notebook weighs 5.3 pounds”. The 4K screen is the biggest advantage of this laptop by its utter density display. GearOpen showed a viewpoint that the 3840 x 2160 resolution and 15.6 inch screen size means the P35X v6 churns out a density level of 282 ppi, which is just outstanding. This display is also even better than the current 15.6 inch Retina Macbook Pro. In the same opinion with GearOpen, the ComputerShopper’s reviewer evaluated “The 4K panel’s image quality is very good, with plenty of color and brightness. We did notice some brightness shift when looking at the display from extreme off-center angles, but the picture otherwise remained consistent off-center, thanks to the IPS panel” while the HardwareHeaven said that the huge density means user would have to use the Window 10 scaling settings to make icons and text legible, but they did not have any issues with that during their tests. “So this machine is all about how thin you want to go, and how much you care about 4K. Just know that all-out, details-cranked-up gaming at 4K is a stretch even for the formidable GTX 1070”, remarked ComputerShopper. And for the GearOpen, the laptop’s color is mostly better for both accuracy and color average are better on Gigabyte’s chosen panel. However, this page also found out the only problem with the screen is the screen uniformity: The top row of the panel gains about 10% more brightness when compared to a middle of the screen, while the bottom row of the screen sees a 13% drop in brightness. Sadly, the general complaint of ComputerShopper about the display was that it lacked support for Nvdia G-Sync for smoothing out in-game frame rates, which could help increasing battery life. About the sound some reviews from page ComputerShopper say that the sound quality of this notebook is supposed to be its weakness. 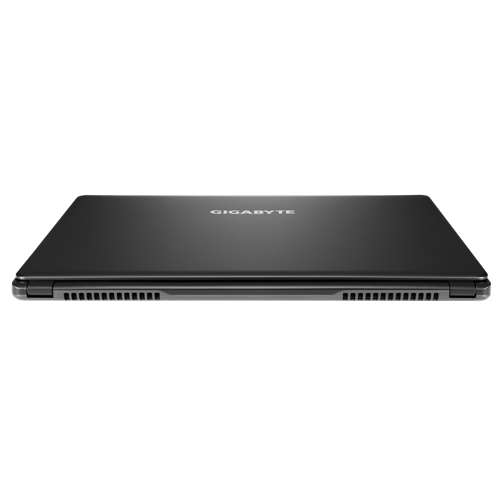 The stereo sound from Gigabyte P35X v6’s twin front-facing speakers was tinny and strained, especially at upper volume levels, so there wasn’t much in the way of volume, either, just enough for one or two sitting around the notebook while other laptops at this size offer the better audio output. For page GearOpen, “The aural range is dominated by high-pitched noises, but they all sound a little muddy - vocal sound as if they’re being sung underwater, or in an echoey room. The emphasis on high-end sounds means treble is underwhelming and a little buries, and there’s no subwoofer inside this machine, so bass is hard to find at all”. As commented on page HardwareHeaven, the complaint about the speakers still remains the same: “The two 1.5 W units inside this laptop are weedy: the top-end is dominant but too indistint and muddy, and that means the mid-range is buried and sometimes difficult to hear. There’s no subwoofer, either, so bass is almost absent. We’d definitely invest in a headset”. In general, the PC35x v6 has a reasonable layout: a number pad, full-sized return and space key, and highlighted WASD buttons. About the keyboard, this Gigabyte machine also suffers from the familiar chiclet issues as a statement from GearOpen. For example, its keyboard is good enough for users when typing but not really good for gaming purpose. That’s because it does not have a snap, speed or travel that a traditional laptop keyboard delivers. It falls even further behind proper mechanical keyboards. For the HardwareHeaven, they also offer the same review: “The P35X v6’s keyboard has a good layout, with large keys and a proper numberpad but the buttons themselves don’t have much travel. They’re a little wobbly, which means they don’t have hugely consistent feel - and the base beneath is too soft for our taste”. Besides, there is an opinion from the ComputerShopper that the lack of tactile feel in the keyboard keys is disappointing. There’s not enough of an up-and-down motion to each key-press, so the typing experience is a bit vague. The white LED backlighting is limited to two levels, plus off. It’s a bit dim in the daytime, but it works well in the dark. The trackpad on the Gigabyte P35X v6 has its issues either. As a remark of GearOpen, the buttons barely move at all when they’re clicked, which made the reviewer second-guess when he was playing game. They’re a long way from the snappy, definite clicks offered by proper gaming mice. “The surface is fine, but the two-in built buttons don’t move much, which leaves us second guessing our clicks. They suggest we use USB mouse”, said HardwareHeaven. However, according to ComputerShopper, the P35X v6 has an impressive port selection, packing everything from HDMI 2.0 to USB Type-C 3.1. The left side of the chassis holds the cable lock slot, an Ethernet jack, a pair of USB Type-A 3.0 ports, separate headphones and microphone jacks and the full size SD card reader. On the right side of the chassis, there are the mini-DisplayPort output, a sleep-and-charge USB Type-A 3.0 port, a USB Type-C 3.1, HDMI 2.0 and VGA. The front of the chassis has the built-in optical drive, populated in our review unit by a tray loading DVD-burner. According to the ComputerShopper, Central processing power is courtesy of Intel’s bread-and-butter Core i7-6700HQ Skylake processor. This chip, which is mostly common high-end laptops, has four cores with a base frequency of 2.6 GHz, and a Turbo Boost up to 3.5 GHz in a single core. It’s an all-around solid choice for demanding tasks such as gaming and media-file crunching. Moreover, the Gigabyte’s GTX 1070 is an enormously powerful mobile GPU, so it’s no surprise that it scythed its way through 1080p and 1440p gaming tests. As evaluation of GearOpen, “It’s best 1080 average came in Middle-earth: Shadow of Mordor, where it scored 111 frames per second. At 2560x1440, the Gigabyte was similarly impressive, with average beyond 60 fps in all of our test tiles. Nevertheless, not every game will run this smoothly at 4K - there are numerous titles out there that are more demanding than our test games - but our benchmarks bode well.“ It also means the Gigabyte has enough power to handle VR headsets. Also, the HardwareHeaven remarked that the Gigabyte’s native resolution of 4K was a bigger test, but the GTX 1070 had continued to perform well. Its Fallout 4 average of 26 fps had been bolstered by a maximum of 37 fps, and it had delivered an excellent average of 35 fps in Witcher 3. About the heat, “There weren’t any surprises in thermal benchmarks, either. The Gigabyte’s peak CPU temperature of 98 Celsius degrees is worryingly high, and the GPU peaked at 90 Celsius degrees - another toasty figure”, the HardwareHeaven complained. 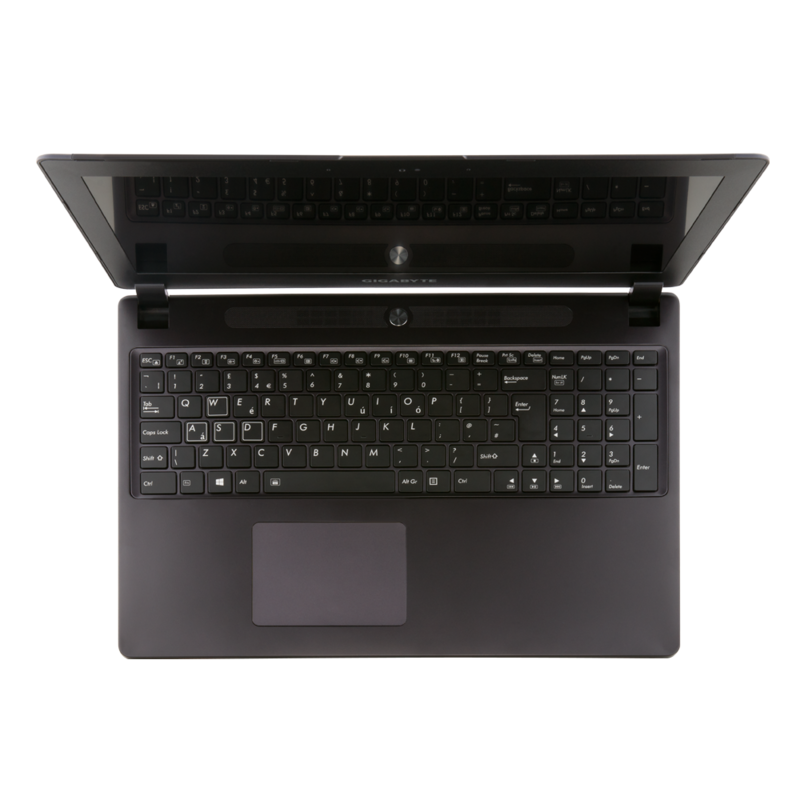 Also on this page, the P35X v6 suffered from noise and heat transfer issues when playing games. The Gigabyte’s base panel became uncomfortably hot, while the fans rose to a high-pitched whirr that made us reach for headphones. In power-save mode, the reviewer of page ComputerShopper looped a video - a locally stored MP4 file containing the full the Lord of Rings trilogy - with screen brightness set at 50 percent and volume at 100 percent until the system conked out, the battery offers about 5 hours and 33 minutes. In addition, “The attributable element here was the usage of Nvidia Optimus. This technology automatically switched to the integrated graphics on the processor when no demanding 3D application is running, thus turning off the GTX 1070”, ComputerShopper commented. 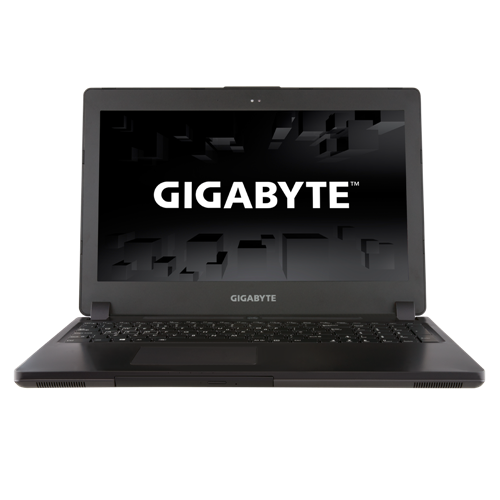 Overall, the Gigabyte P35X v6 is not an extremely great laptop, yet it is still an adequate gaming laptop. Perhaps Gigabyte made this laptop insistent, particularly, the clear pros and cons. The powerful performance came from the Intel Core i7-6700HQ Skylake processor and the Superb GTX 1070 graphics is undoubtedly good. Performance and screen are plus points of the P35X v6. On the periphery, there are numerous issues, for example, keyboard, touchpad, and speakers. The Gigabyte’s keyboard and speakers are thought to be poor both and its design is apparently not attractive or surprising. Despite those flaws, there are still some advantages of the P35X v6, such as the high quality 4K screen or the fast SSD. That’s why this laptop is evaluated as “a confounding and insistent notebook”. However, in my viewpoint, the manufacturer Gigabyte should have done better. GearOpen concluded: “Those who prioritise performance over all else won’t be disappointed by the P35X v6, with the 4K screen an excellent bonus - but it does suffer some niggling issues. Despite these, however, it remains a powerful 4K contender”. 4710HQ: Haswell-based quad-core processor clocked at 2.5 GHz with Turbo Boost support up to 3.5 GHz. Offers an integrated HD Graphics 4600 GPU and a dual channel DDR3 memory controller.» Further information can be found in our Comparison of Mobile Processsors. 83.67%: This rating should be considered to be average. This is because the proportion of notebooks which have a higher rating is approximately equal to the proportion which have a lower rating.